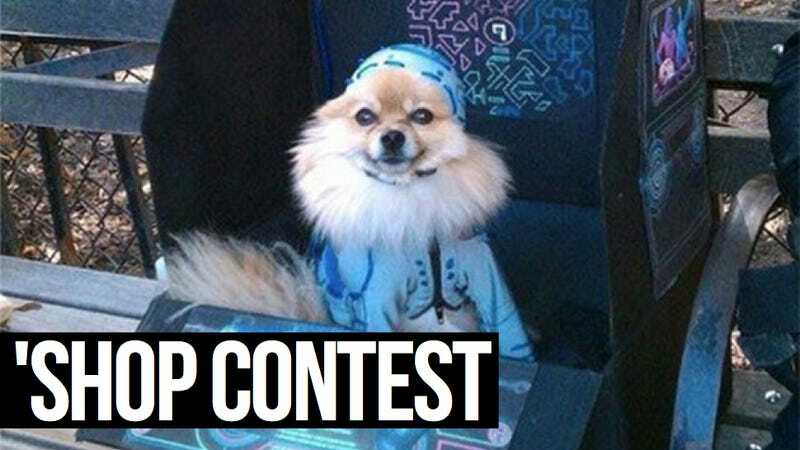 I'm wary of offering contest subjects that may be a meme or done elsewhere, and Tron Dog is a bit of an edge case, but it's the best thing we've got going this week. Prepare for transport to the 'Shop grid. First, Tron Dog's provenance. Luke found him, sitting in his cute little cardboard cabinet on Thursday. The image in question dates to last year, though it popped up on someone's tumblr earlier this week. I checked knowyourmeme.com and no Tron Dog is listed. But there is this video from 2011 (which a couple of commenters posted), and this Twitter account, this Facebook group, and he showed up on Cheezburger once, all of which suggest this is a gag with some tenure. It just went dormant before becoming a full-bore meme, kind of like a dwarf star that failed to ignite. 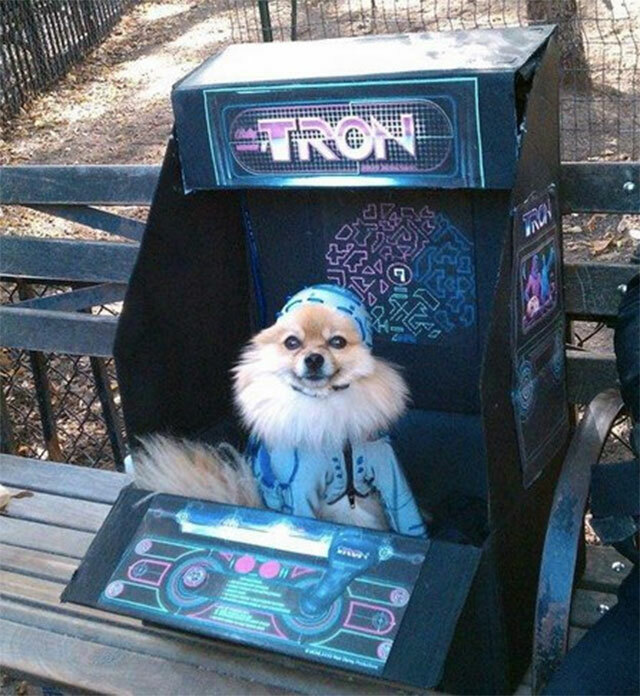 The story of Tron Dog is that he's a pomeranian named Sauce and he's gone missing. This tumblr asks for help finding him. I say we give them more sightings than they can handle. Maybe we can breathe new life into Tron Dog. Special note this week: As you may have seen in yesterday's roundup, we've been having some problems with image upload. The kind of problems that make me want to put my fist through some really thin drywall, because that would look badass without breaking my hand. Anyway, if you upload your image to the comments and see that giant broken-image square, do this: First, go to the right-pointing arrow atop your post and click that. You'll see something that says "edit post." Select that and leave the window open while you open a new tab and upload the image to imgur. Then go back to your post, delete the image (even if it's showing in your comment window) and just post the imgur link. I promise I will look at all imgur links, and I apologize for our failure to deliver such a basic expectation here. The usual boilerplate for noobs now follows.